Tracey: Hello. My name is Tracey. I am a recent graduate although I'm not a kitten. I'm really more of a catten. I got a late start with my training. But now I am ready to find my first job. 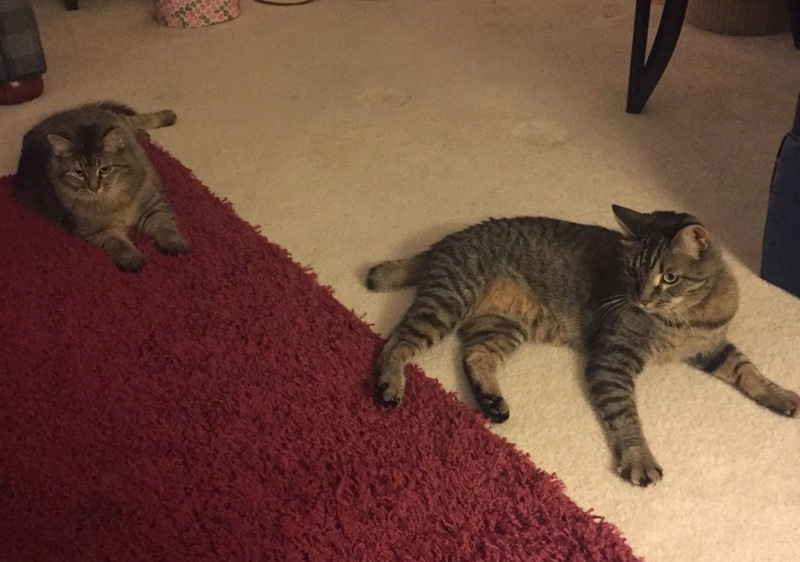 Gus: You are doing great, Tracey! You are going back to the shelter today. They are having a job fair there so you need to be prepared for all of your interviews. Tracey: But what if I want to stay here? Gus: Tracey, you know we don't have any job openings here. Tracey: I don't think I can do this. Gus: Sure you can! You've come a long way since you've been at our Acatemy. You've learned so much. You are going to make someone a great Feline Best Friend. Now you just need to be brave. You can do it! Before you go, why don't you take a selfie? Gus: That is pawesome, Tracey! Good luck in your new life! Everyone, please wish Tracey good luck as she leaves her foster home training acatemy and heads out into the real world! Hopefully, someone hires her soon. 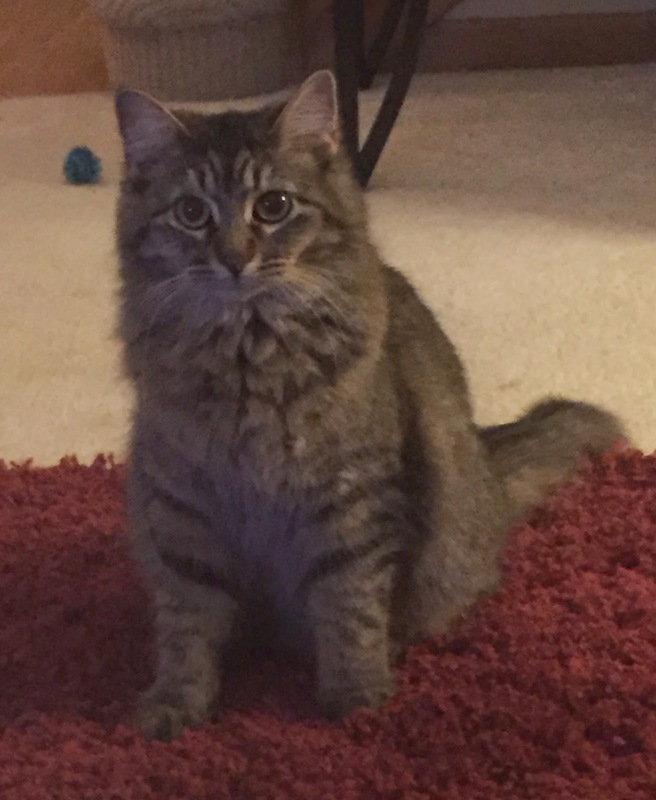 Tracey is available to be interviewed at Great Plains SPCA in Merriam, KS. 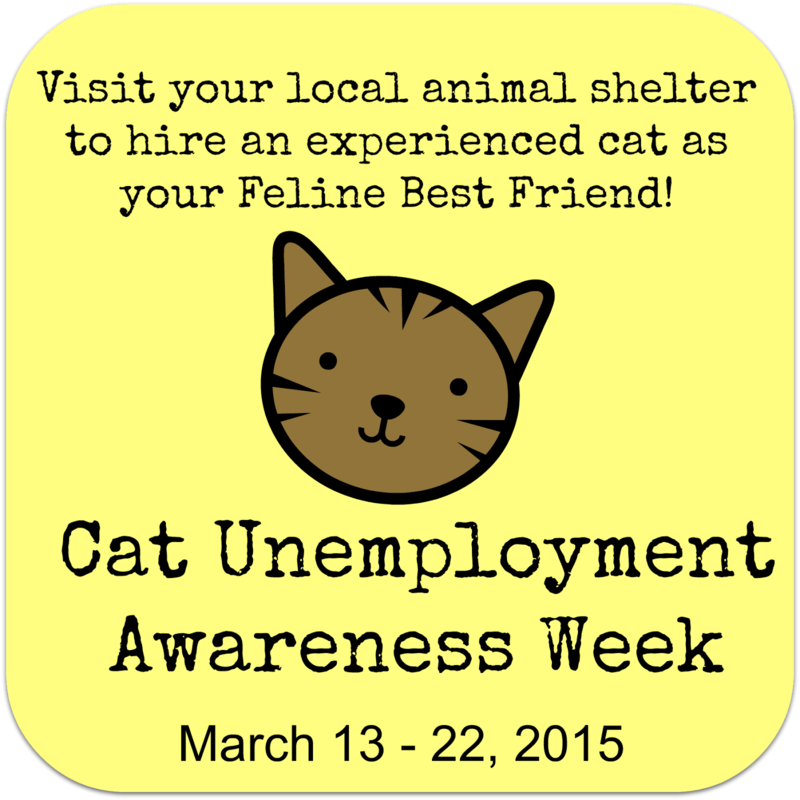 Don't forget it is Cat Unemployment Awareness week! 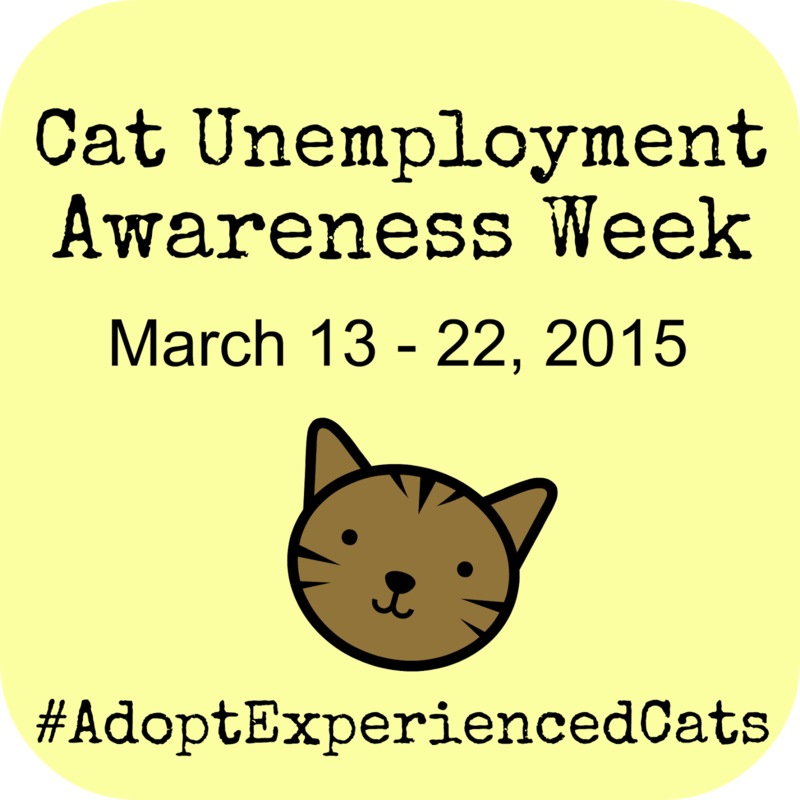 Take a badge and show it proudly to support all the shelter cats all over the world looking for jobs as Feline Best Friends. 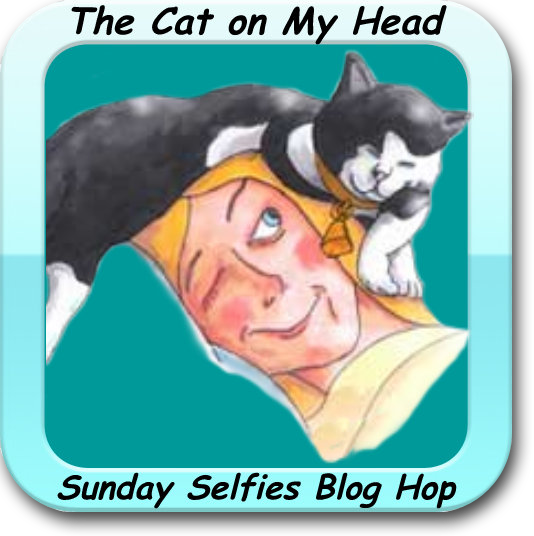 This post is part of a blog hop hosted by The Cat on My Head. Hop on over to say hi and check out the other entries. Tracey I'm sure you will be employed real soon! That is a lovely selfie Tracey. I hope you quickly find your forever home. You are absolutely darling, Tracey!!! Tracey is so pretty. We hope she gets her forever home as soon as possible. We hope Tracey finds a wonderful forever home very soon. Paws crossed for Tracey that she does well on her interviews and finds a new forever family. Good luck, Tracey! We know you won't be in the job market for long! We just KNOW you will get a good job!! !